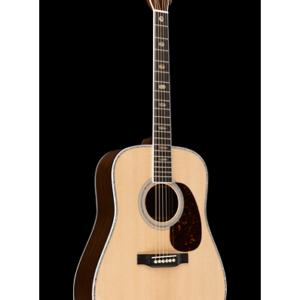 If you’ve been waiting for the perfect Taylor GS Mini-e, this spruce-topped walnut model is a serious contender. Desired for its crisp highs and luxurious looks, the GS Mini-e Walnut features a solid Sitka spruce top and layered walnut back and sides. And thanks to the smaller body size of this acoustic-electric guitar, you’ll comfortably play it from the studio to the stage. The GS Mini-e features Taylor’s renowned ES-B pickup system, with tone controls, a built-in tuner, and a low-battery indicator. so you never have to worry about losing power in the middle of a gig. The award-winning original GS Mini was designed to be the ultimate musical companion. Inspired by the big, bold sound of Taylor’s Grand Symphony (GS) body shape, the Mini scales the GS body down without skimping on sound — packing a ton of tone into a comfortable travel size and giving you a guitar that’s full-voiced and incredibly fun to play. At Kenny’s Music, we think of the GS Mini as a modern-day parlor guitar, perfect for playing around the house but also built to fit an active lifestyle. Walnut has long been prized by furniture makers for its stunning, varied grain and myriad hues, but in the world of instrumental sound, it also equals clear treble coupled with a powerfully woody bottom end that mellows and deepens over time. 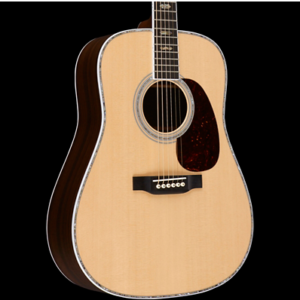 This Taylor GS Mini has layered walnut back and sides that offer the crispness and heft of walnut along with enhanced resistance to changes in humidity — a must-have for many of Kenny’s Music traveling musicians. The miniature Grand Symphony body style further enhances the wide-ranging tone and excellent balance. But let’s not forget what some would consider the most important part of any guitar; this Mini-e is built with a solid Sitka spruce top. Sitka spruce, Bob Taylor’s personal favorite for an all-around great guitar, is adaptable for any playing style, and its tone will become richer and more complex as the years go by. Traditionally, acoustic-electric guitars have employed under-saddle piezo transducers, but Taylor goes about it a bit differently. Their Expression System-B uses a proprietary pickup behind the saddle. The pickup’s three individually calibrated, precisely positioned piezo-electric sensors respond organically to the instrument’s acoustic energy as it’s transferred through the saddle. In concert with Taylor’s custom-designed preamp (which delivers a 25% hotter signal), the result is a natural acoustic sound with incredible dynamic range and responsiveness to your pick or finger attack. Kenny’s Music’s guitar gurus are mightily impressed with Taylor’s Expression System-B. Whether you’re onstage playing through a PA, plugged into an acoustic amp, or running direct into recording software, the ES-B faithfully conveys the voice of your Taylor guitar.